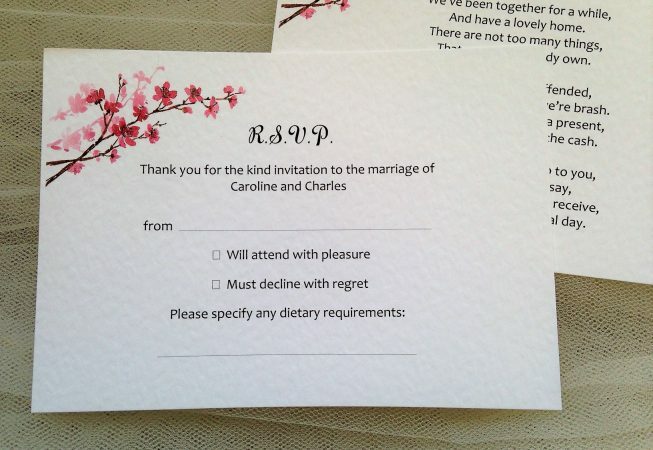 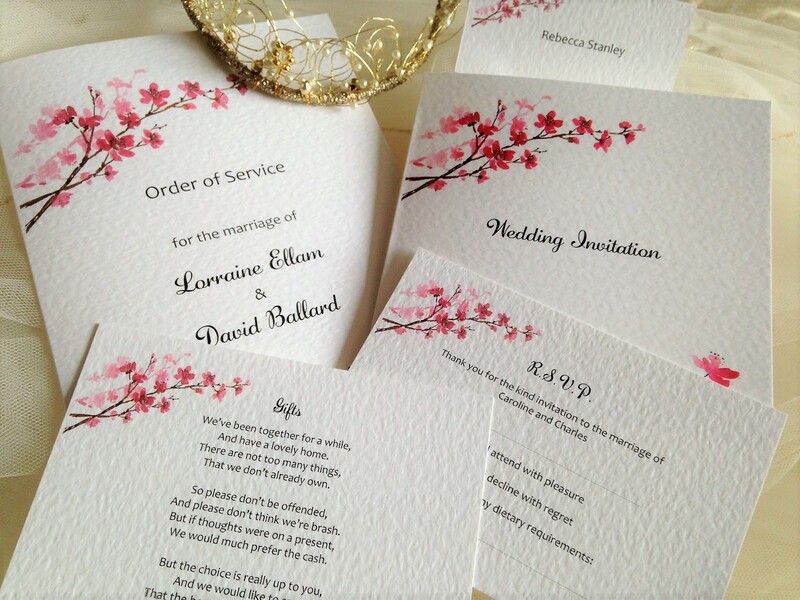 Cherry Blossom RSVP Postcards or reply cards are available in either white or ivory heavy hammered card (270gsm) to match your Cherry Blossom Wedding Invitations. 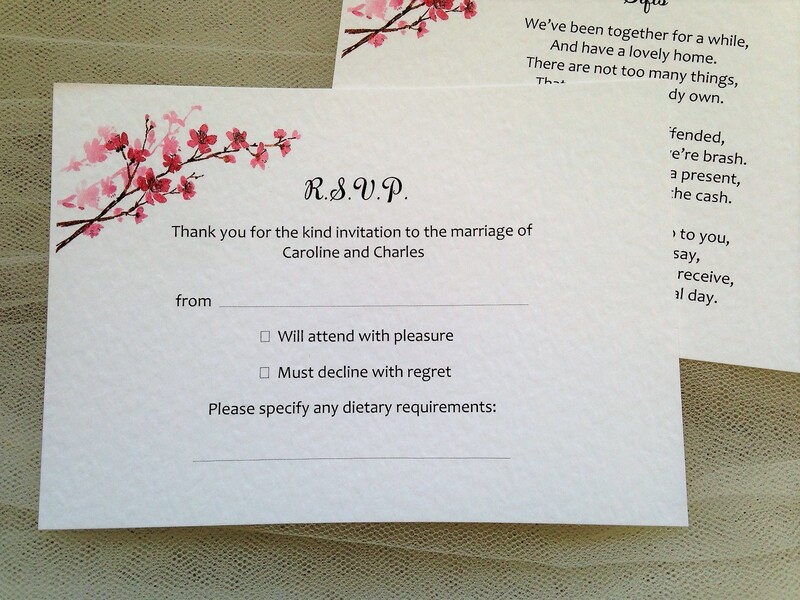 Ensure you get a reply from your guests in plenty of time! 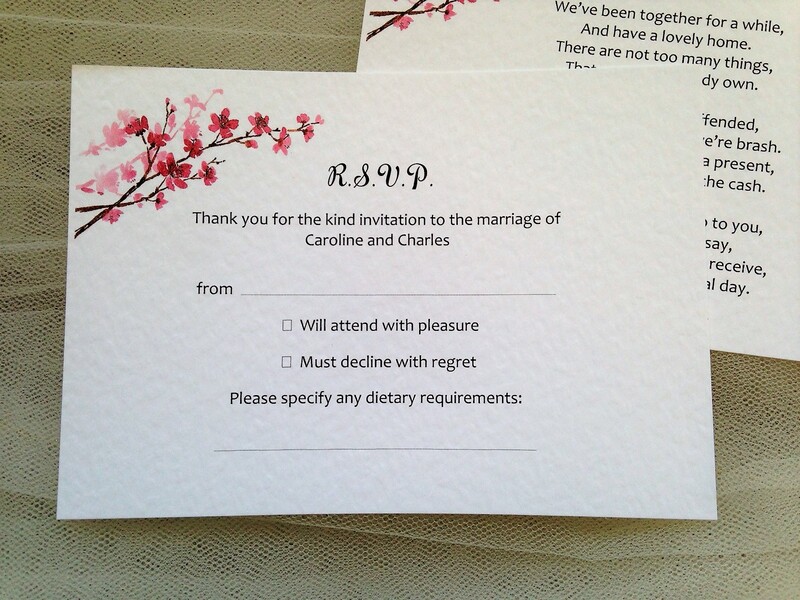 All personalised printing in the font of your choice.